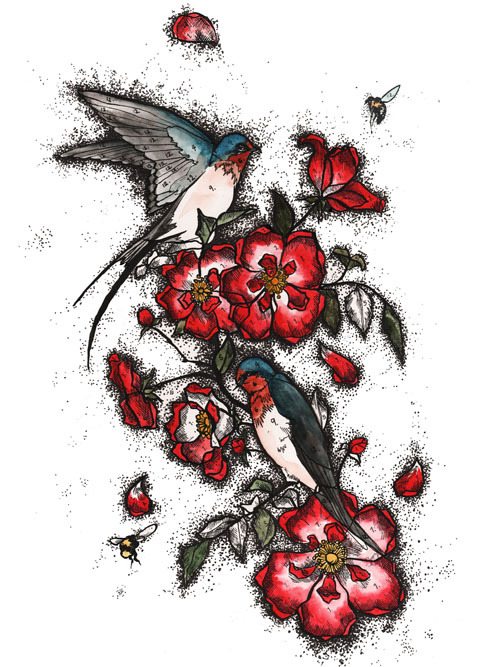 Swallow and Dog Rose print design for Beautiful Soul by Faye West. Painting by Numbers is the A/W 2011 collection from Beautiful Soul, click featuring gorgeous textile prints put together by ACOFI’s very own Faye West. Ethical designer Nicola Woods took many long coach trips as a child – not the result of any particular ethical ideology, viagra but because her parents were petrified of flying – and during these journeys her father would entertain young Nicola by drawing long picture stories that she would then colour in afterwards. As a result the print designs for Painting by Numbers feature lots of quirky detail such as tiny numbers. Beautiful Soul has become known for its clever upcycled kimono creations, but production and meeting the demands of fashion buyers has been quite tough. Beautiful Soul classic upcycled kimonos – I have two versions of the gorgeous crop jacket on the right, which I wore for the January launch party of ACOFI. So, although the Beautiful Soul label will always feature the trans-seasonal signature kimono pieces in asymmetric silhouettes, moving into ready to wear has allowed Nicola Woods to explore more diversity of design. She has had a lot of fun producing commercial pieces that still exude her classic good taste with a sense of fun, including some lovely tailored wool coats for A/W 2011. Beautiful Soul by Lorna Scobie. Coats and jackets come in green, olive and black British wool with beautiful engraved buttons made out of vegetable ivory sourced from Artisan Life in Columbia, which gives work to single mothers. In a nice upcycled touch the pretty gold fabric around the buttonholes comes from dead stock that Sarah Ratty of Ciel (another ACOFI featured designer) was getting rid of. With the print designs for Painting by Numbers Nicola decided to fuse a real element of Britishness into the collection: think English Rose meets Japan. The process of collaboration began with a callout for illustrators on Facebook, and it was to this that Faye West responded. 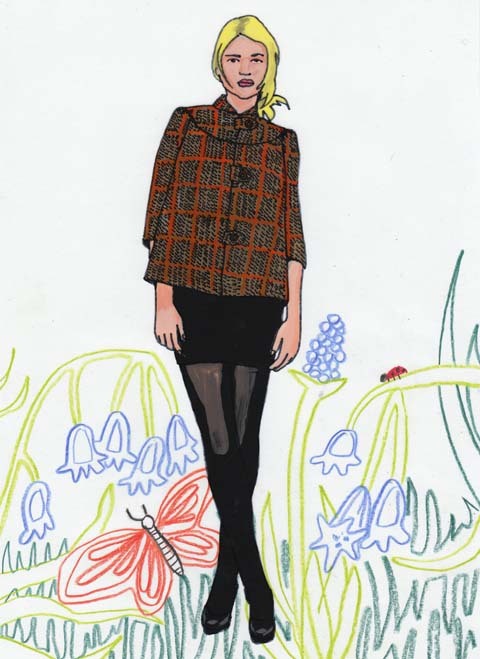 Nicola then asked her to create print designs based on interpretations of an English country garden. Red and blue are her favourite colours: Nicola often visits a bluebell forest near where she lives and poppies are her favourite flowers, so these feature widely in the resulting designs, which sprawl across the simplest of white silk evening dresses, day dresses and scarves. 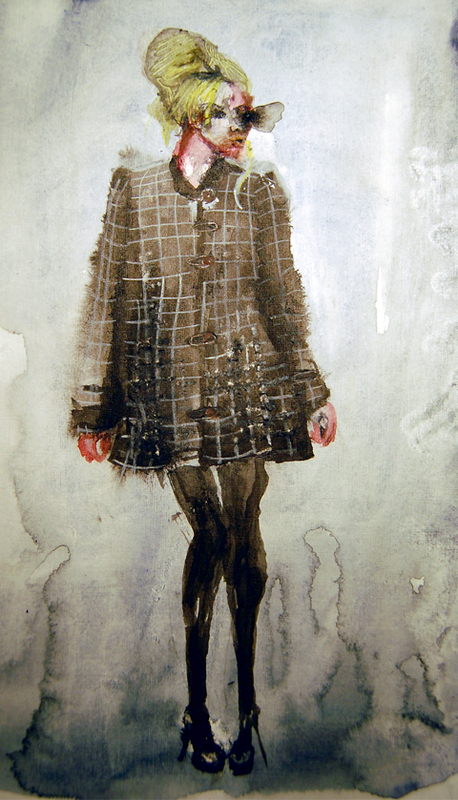 Beautiful Soul A/W 2011 by Sally Jane Thompson. Lace print by Faye West for Beautiful Soul. When Nicola Woods found it hard to source a local lace it was to Faye West she turned to create a delicate lace like print that echoes its complexity. 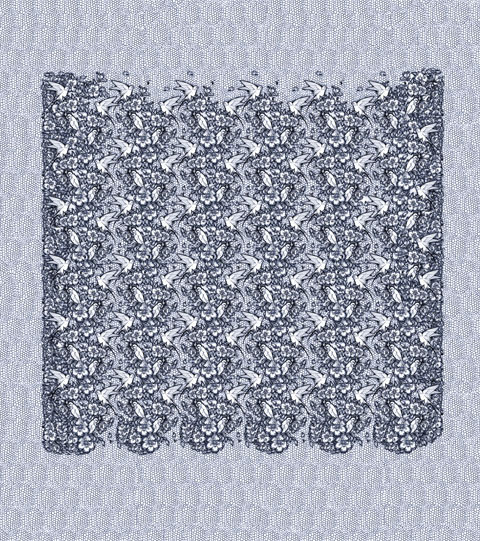 And if you look closely, there are tiny bees lurking amongst the fauna in these imaginative and unique designs. http://www.vimeo.com/21024502 Painting by Numbers, the collection. Because it is incredibly difficult to source diverse good quality fabrics in the sustainable sector Nicola is pondering the idea that she may have to make her own. No one said that ethical fashion is easy, but thank goodness there are innovative trail blazers like Nicola Woods to lead the way. Beautiful Soul A/W 2011 by Antonia Parker. Just so gorgeous! 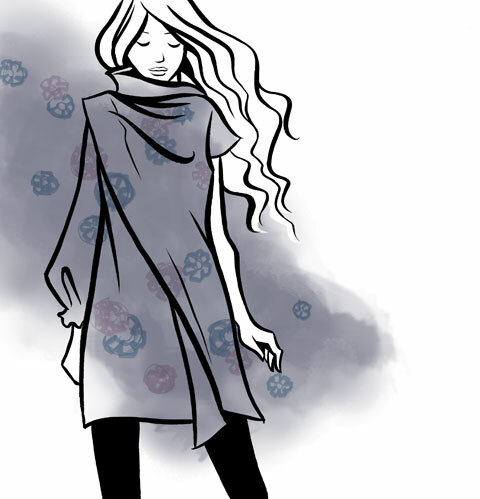 Especially coveting the Kimono style maxi dresses.